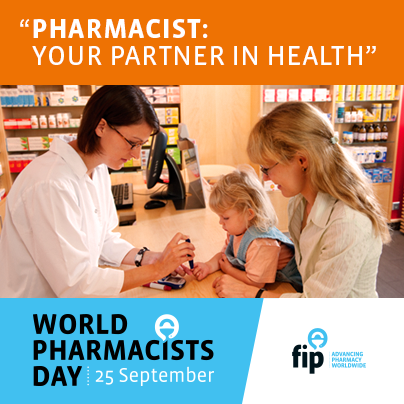 World Pharmacists Day is held yearly on the 25th of September. 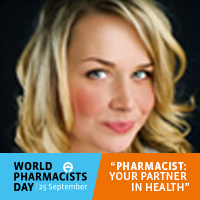 This year, the World Pharmacists Day theme is 'Pharmacist: Your partner in health'. 'Medicines must go hand in hand with pharmaceutical expertise, or in other words, with pharmacists. This is a partnership essential to the responsible use of medicines. But other partnerships are also important. Every day three million pharmacists and pharmaceutical scientists around the world act as partners to patients, other health care professionals and other scientists, throughout the whole supply chain and with the shared vision of better health. Support this campaign by adding to your profile picture!